As we move into fall, apples are becoming available in abundance. Every year we like to do what we can to preserve their amazing flavor during its peak. 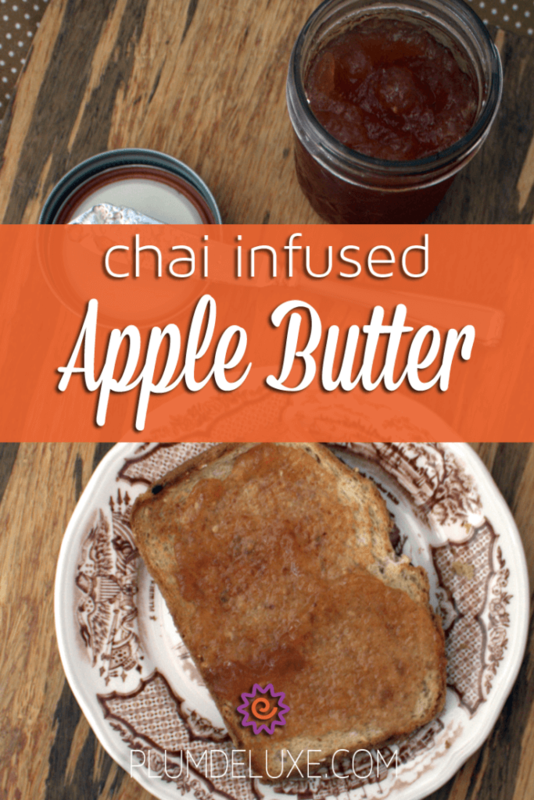 Aside from the usual crumbles (like this Spicy Orange Apple Crumble), coffee cakes, and pies (or almost pies) we also like to put away a few jars of apple sauce or apple butter, like with this chai infused apple butter recipe. For those unfamiliar, both applesauce and apple butter are pretty similar. 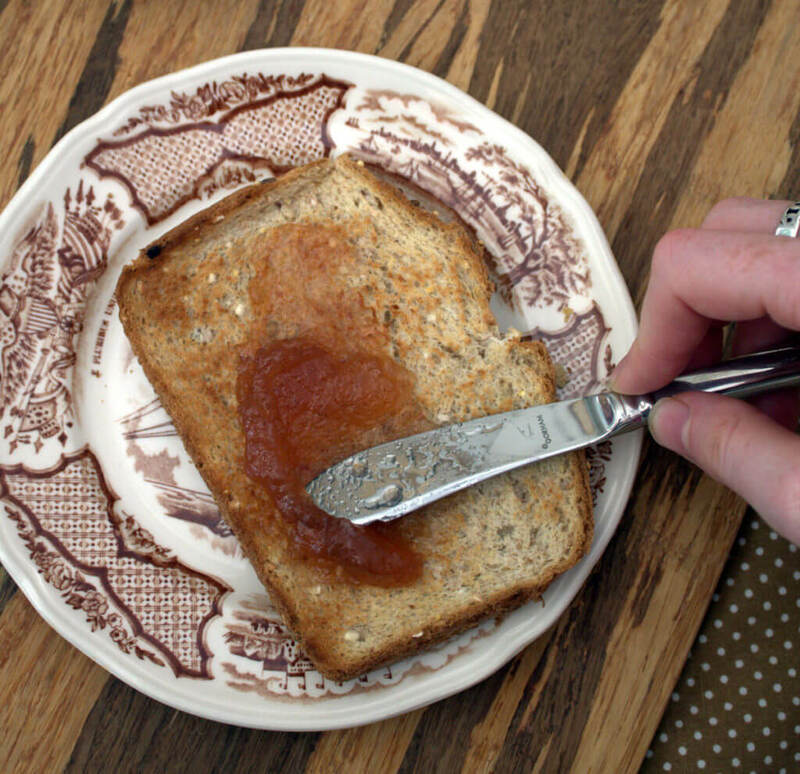 They are often cooked using the same sugar and spices, however apple butter is cooked much longer than applesauce. The extended cooking time results in a smoother spread that is thicker and more caramelized than applesauce. Oftentimes it has a bit more depth of flavor, too. 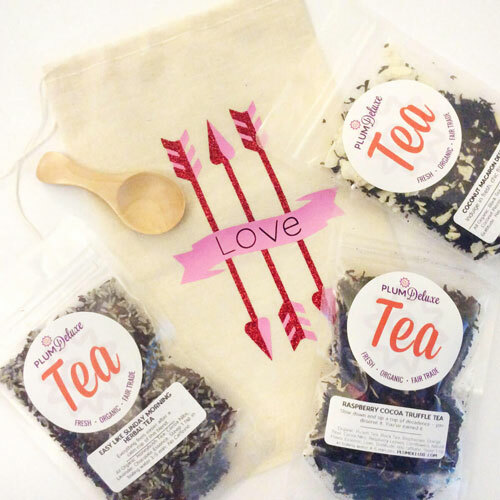 For this recipe we upped the ante by adding an additional level of flavor and infusing our Portland Rose City Chai. 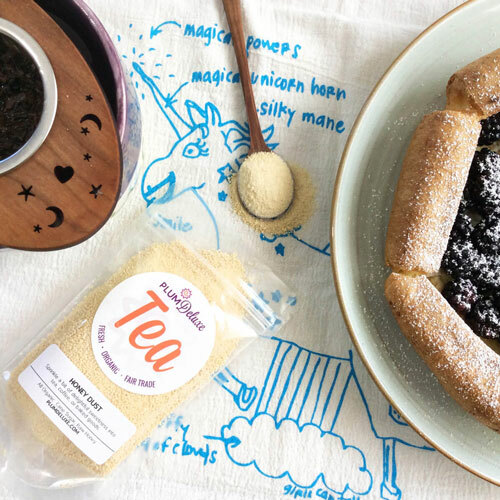 This tea is a great accompaniment to a standard apple butter with its hints of rose, cardamom, ginger, cinnamon, lemongrass, and blackberry. 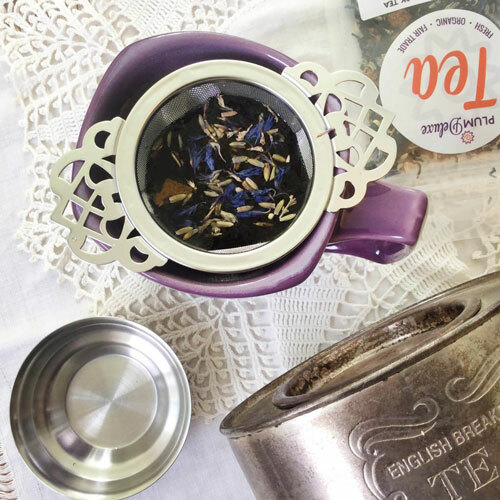 Because this tea is very flavorful, slightly floral, and sweet on its own, we were able to omit some of the additional sugar and spices typically found in apple butter recipes. The final product is a dynamic and flavorful spread. It is slightly darker than most apple butters, and has a sweet and slightly floral aroma. 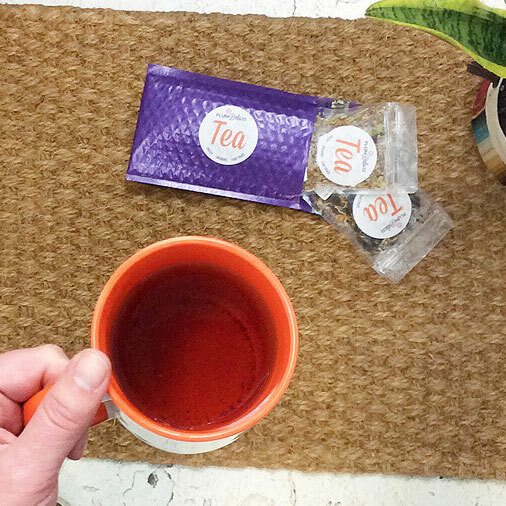 It contains hints of spice and almond that come directly from the tea. The overall combination lends itself well to just about any place a jam or fruit butter would be used. 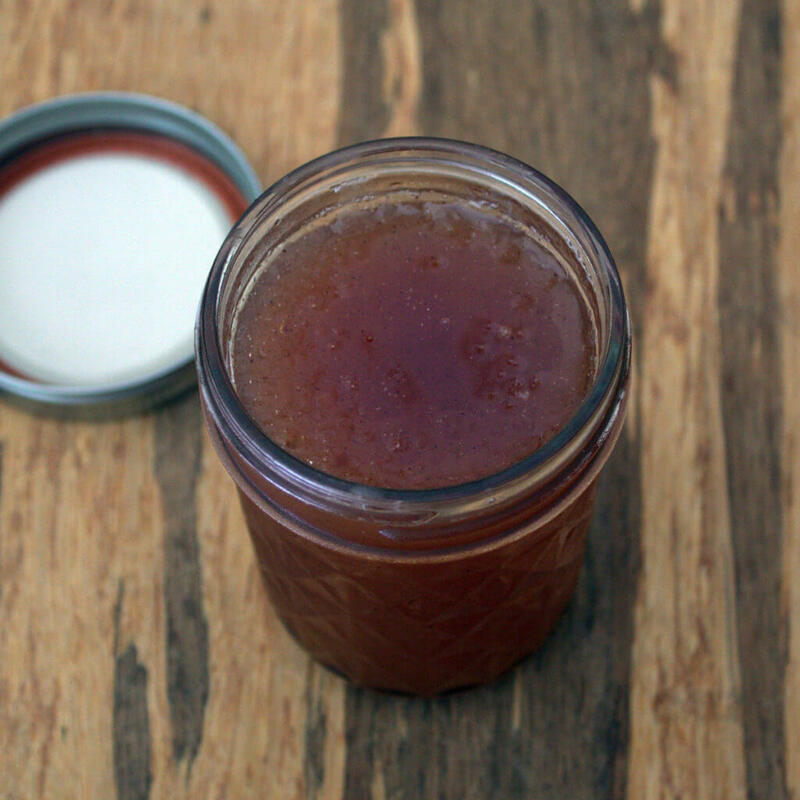 Apple butter is typically served as a spread for toast or cream cheese sandwiches, but we definitely encourage you to think out of the box with this condiment. It makes a great addition to a ham and cheese sandwich, as a sauce over a roast pork, or even the base of a fall flavored barbeque sauce. It is wonderfully versatile and a great addition for any stocked pantry. Combine the apples, chai, brown sugar, and salt in a large ovenproof pot or Dutch oven over medium heat. Bring to a boil and then reduce to a simmer. Cover and cook until the apples are soft, about 20 minutes. With an immersion blender (or in a blender in batches), puree the mixture until. Place the blended mixture in the oven and bake, uncovered, until thickened and deep amber in color, about 2 1/2 to 3 hours. Stir often, about every 30 minutes. Serve immediately or, once cooled completely, store in the fridge for up to 1 week.